Although the movie is fiction, out here you’ll find that the characters and the story of the Man From Snowy River ring true. Craig's Hut is arguably the most famous High Country hut. Perched atop Mt Stirling, Craig’s Hut offers stunning views of the ranges and is one of the regions most photographed landmarks. First built as a set for The Man From Snowy River film, the hut has now become an iconic symbol of Australia’s settler history. Drive, horse-ride, mountain-bike, fly or hike, no matter how you get to the hut, make sure to pack a picnic. 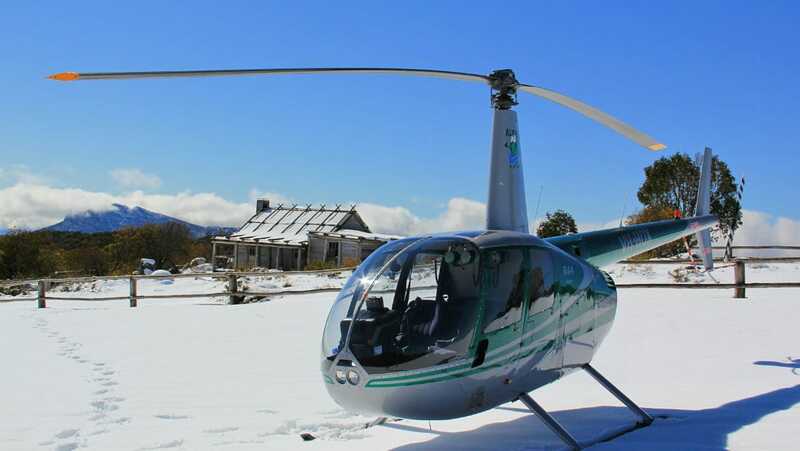 Why not book a spot with a local tour operator and join a tour to Craig's Hut including a catered feast, complete with High Country wines and mountain tales? If you’re willing to stick around until dark, you’ll also be treated to the starry spectacle of the Milky Way uninterrupted by city lights. Craig's Hut is 19 km from Telephone Box Junction and can be accessed via the Circuit Road. There is a 4WD track that leads directly to the hut, or there is a 1.2 km walking track which begins at the Day Visitor Area.